I am using a MSI GV62-8RD notebook and with Geforce Game Ready Drivers 417.71 running on windows 10. Randomly I'll be working and then the engine will crash, I did some digging and essentially the GPU drivers try to restart and fail but I don't have the exact error log, I'll update the post when it crashes next. It has no rhyme or reason, it'll just crash randomly for no reason and the only solution I've found is to reinstall the drivers and wait for it to crash again in a few days. Is the issue with my graphics card or is that an issue with the drivers I'm using? You put a lot of details, but not the good ones. Does it crash on every project ? Does it crash on save or on auto-save ? Did you use the repair tool ? Did you install a new software used by UE (like Visual Studio), or uninstall a software which could be used by UE ? 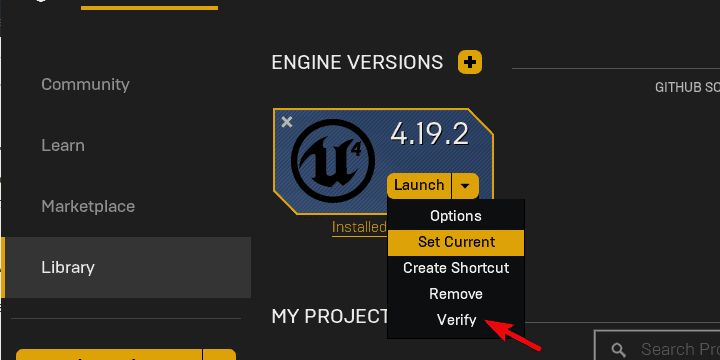 If it is on every project (and then even new ones), it means that the problem comes from UE4 or from your PC. I advise you to clean up your PC with Glary Utilities. Try to reinstall UE4. If it still happens, try to take a screenshot and post it (it will be easier to help), and try to force the crash (it can seem random but maybe it's something over time like memory saturation, or undo history). Why does Fortnite keep crashing on my pc? how i fix the crash?? ?